It is said that the rock is in Jerusalem. 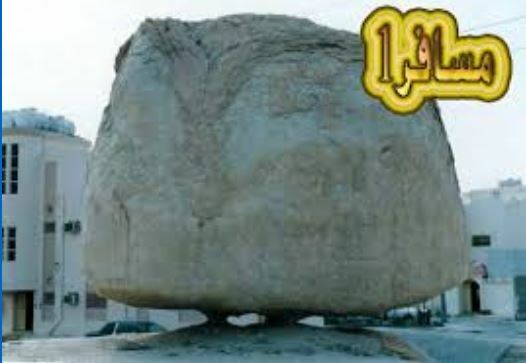 It was the rock where the Prophet Muhammad (S.A.W) stood when he begin the ascend to heaven during the Israk Mikraj event. 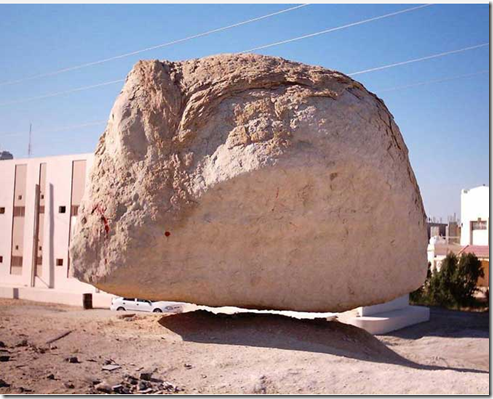 The rock was said wanted to follow the Prophet ascending to heaven, but the Prophet stop it. So it stopped the ascend and staying afloat until now. 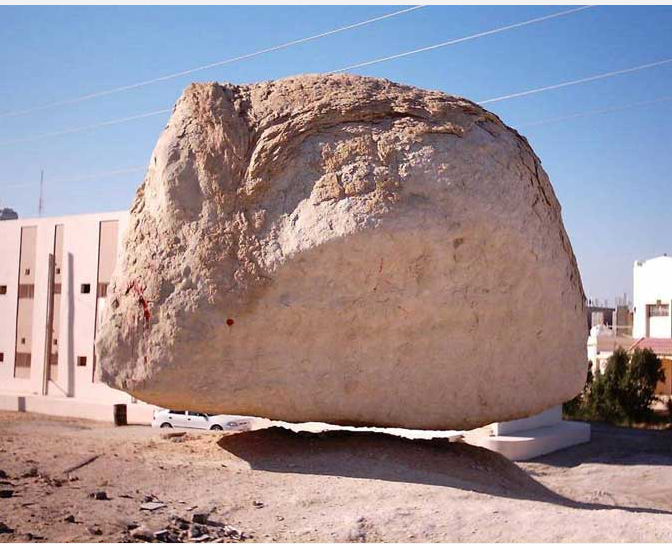 1) When I searched on the internet, I found only one picture of this stone like this. This is the era of social websites, If “floating stone” is a fact then different videos and photographs would be shared by many people. 2) If it is floating like this for the last 1400 years then why this was never reported in the news ? Never believe on this kind of stuff right away. Always do some research before spreading it on the internet.